I think I’ll leave this transcription now. If anything, there are a few lines played farther on that have caught my ear that i may work out in isolation. This solo IMHO develops well. I find this entire solo quite memorable. Be a great ensemble to catch performing live im sure! 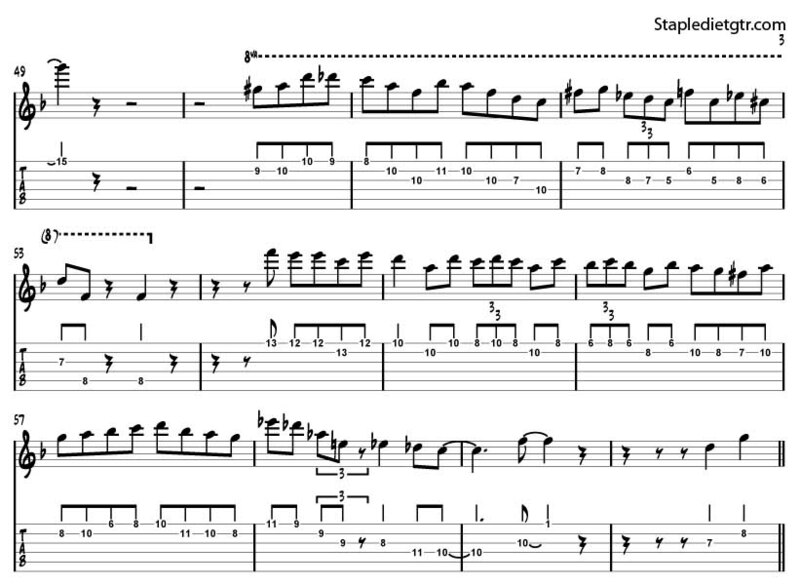 This entry was posted on Thursday, June 26th, 2008 at 11:15 pm	and is filed under jazz guitar. You can follow any responses to this entry through the RSS 2.0 feed. You can leave a response, or trackback from your own site.